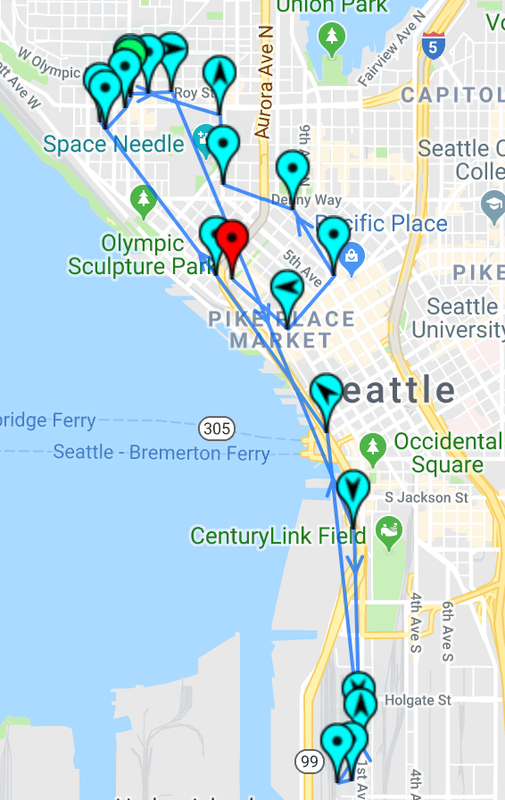 2018-05-01: All that walking around in Seattle yesterday left me pretty tired today, so I did a lot less exploring. That was for the best, since my energy had to be reserved to take care of business. 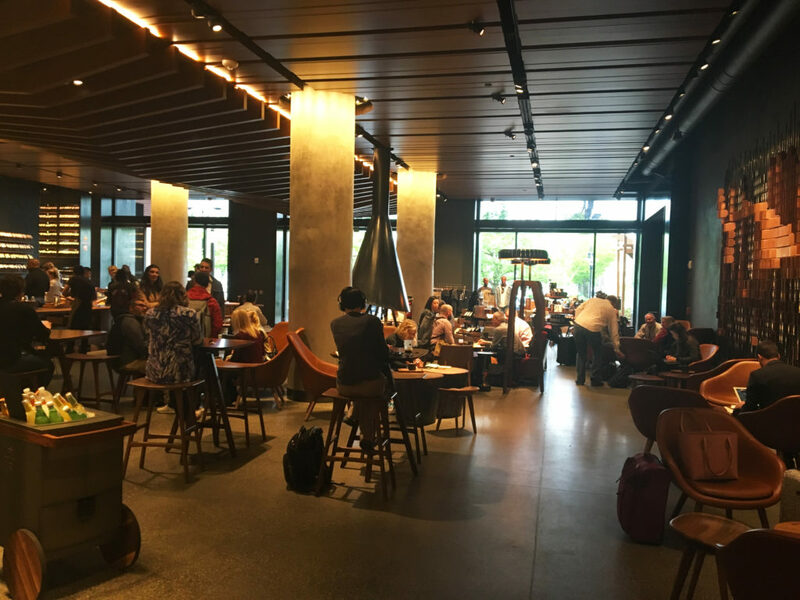 Our team first met at the Starbucks Corporate HQ and Reserve Bar in SODO. This was one of the nicest coffee shop locations I’ve ever been in. It was more than just a coffee shop, it was also a bakery, a lounge, a store, a gallery… wow. I was the first of our team there, bright and early in the morning, so I walked around a little bit and explored. There were some cool gifts here too, and the service was great, you get personalized attention and they bring drinks right out to you. I usually choose independent coffee shops over Starbucks stores, but some of these big locations (the Reserve Bars & Roasteries) are worth going to for me. The team trickled in and we compared notes before going over to the HQ building (attached). Quite an elaborate interior that I did not take any photos of, lots of nice wood paneling and rope. We got a special coffee tasting and also got to attend their corporate Nacho Fest. 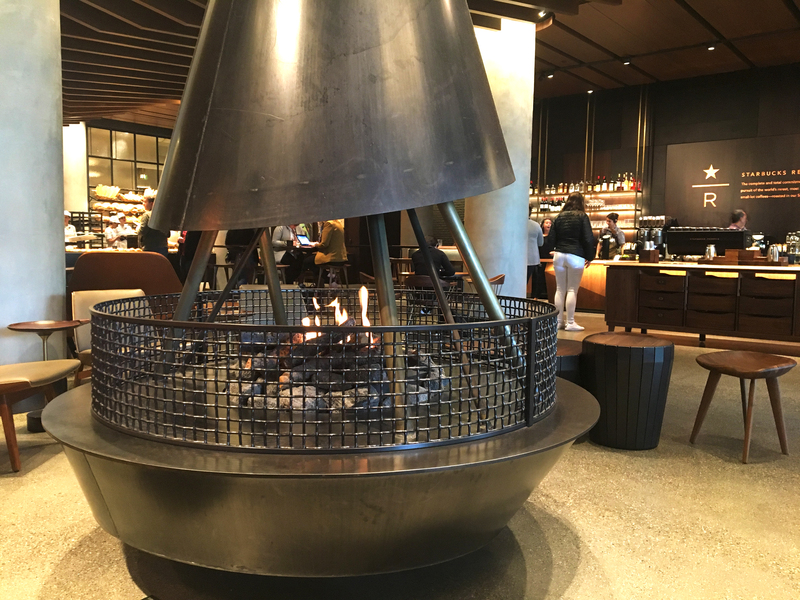 I’m totally sold – I mean, I would want to check out other coffee shops too, I always like checking out a variety at first – but I would absolutely come back here again. Sandra gave me a ride back to the office. 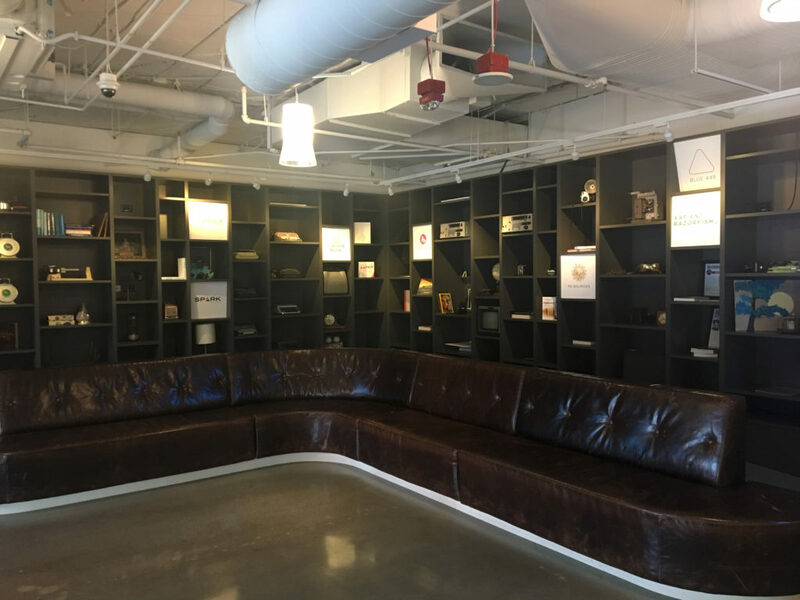 I mentioned in my last post that I’d share more photos of the Seattle office later, and now is the time for that. 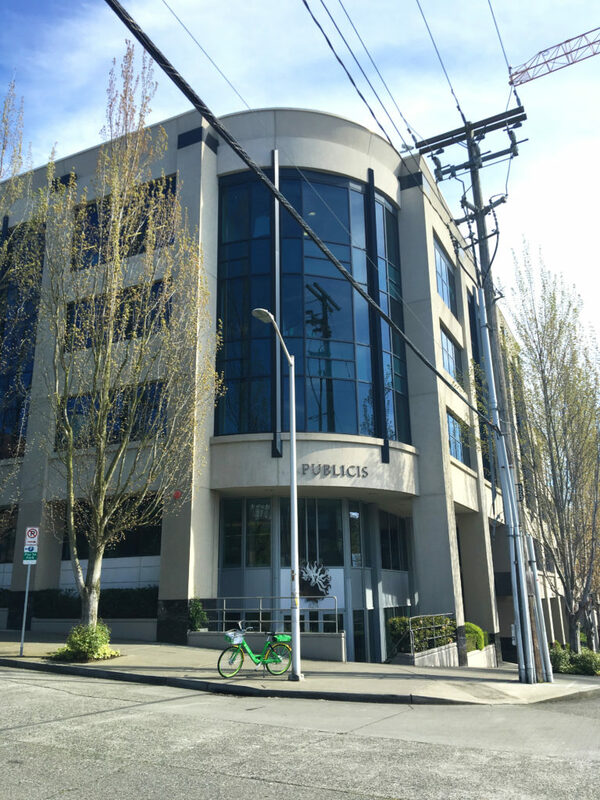 This is the Queen Anne location for Publicis/Publicis.Sapient/SapientRazorfish. It’s such a nice place! 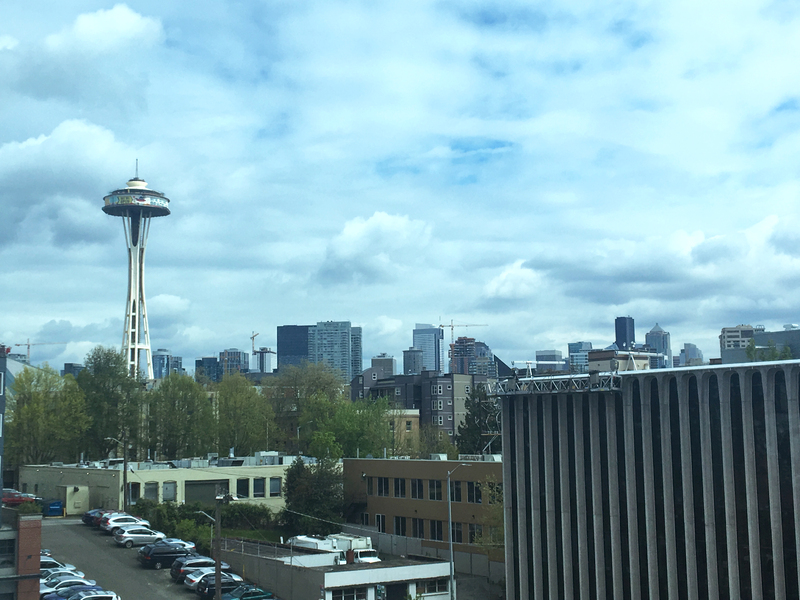 Also, this is my fourth office visited starting this year: Santa Monica, New York City, El Segundo, and now Seattle. You come inside and see this really nice lounge, with cool antiques and displays sitting out. 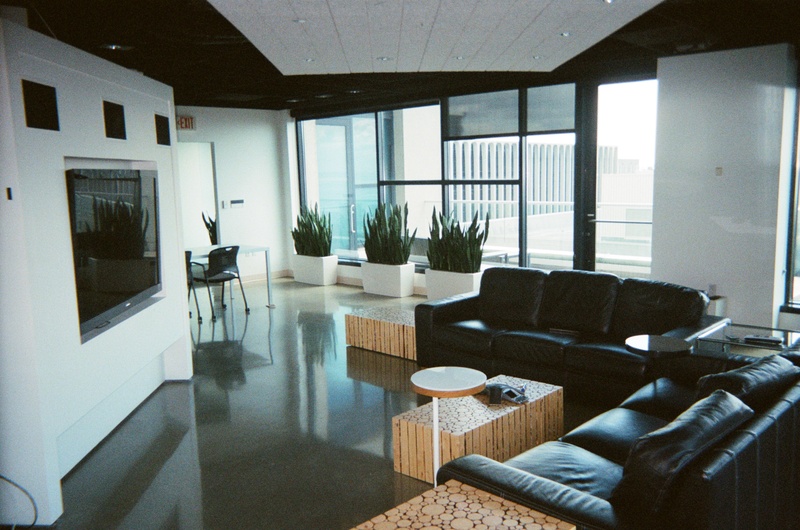 The office itself is pretty standard, but that’s still very nice. It was multi-floor, open, and breezy. 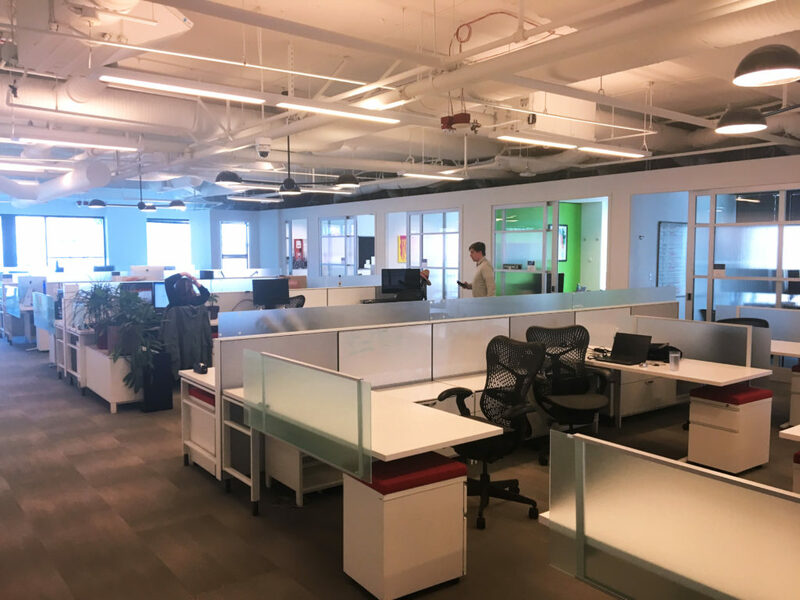 I mean granted I do believe that open office seating arrangements are awful, and I can’t believe anyone works this way and gets things done… it’s cheaper for the company, but there’s a loss in productivity and morale that accompanies it. The office has a nice view too. This is from the window in someone’s office, and I know from another project that he had just recently quit, so I used it to take calls while I was here. 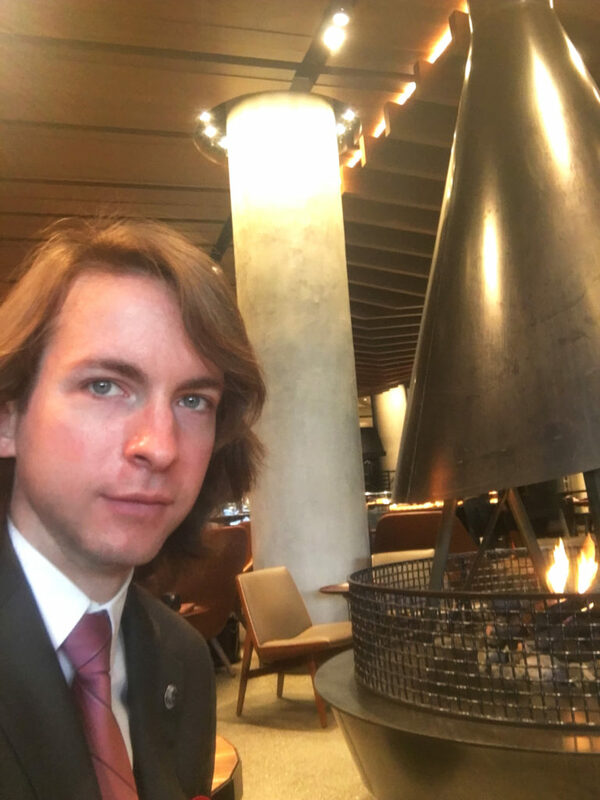 I still had a full day of work at the office, and at the end I discovered that the project manager, Jamie, was also here from Los Angeles and was staying in the same hotel. We walked back together and met down at the bar, Tin Lizzie, a little later on. He was surprised to see me changed into a tank top instead of the suit I’d been wearing the last couple days. The bartenders here were very cool – one seemed a little old and wise but was very handsome too, and the other was younger and a great conversationalist. It was a great time all around. I had gotten up early, worked all day, and was still tired from yesterday, especially after a couple drinks. So tonight I watched some Forensics Files in my hotel room and went to bed early. Truly an exciting Seattle night.